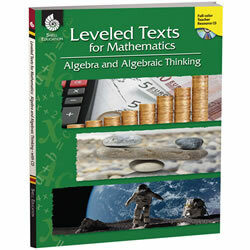 Help children learn about basic patterns and patterns in algebra with Kaplan's selection of educational math tools and games. 3 years & up. 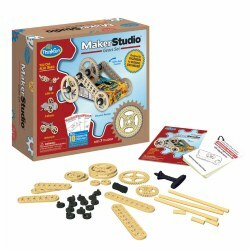 Build fine motor skills while developing a multitude of early math skills with this math activity set. 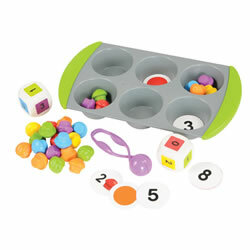 Includes mini muffins to match, sort, count and boost color recognition, number and color die, pair of tweezers, 12-double sized sorting circles, muffin tray, 60 mini muffin counters and activity guide. Grades K & up. Easily demonstrate base-ten number concepts on the whiteboard! 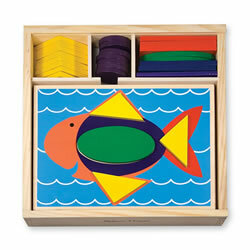 Giant magnetic Ten-Frames and colorful discs allow students and teachers to engage with base ten and other number and operations skills (addition and subtraction) as a group. 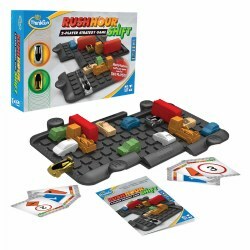 Set includes 4 magnetic frames, 40 discs (20 green, 20 blue) and Instruction Guide. 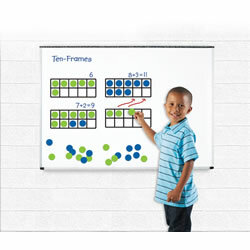 Frames measure 11/4"L x 5"H.
Grades PreK & up. A visual way to teach addition! 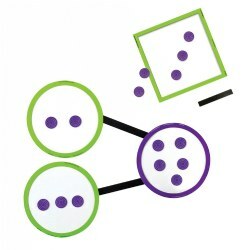 Just stick the magnetic cups, funnel, and tray to any whiteboard for clear and simple addition demonstrations. Drop the balls into the cups, tilt them over so they fall into the addition funnel and through to the numbered tray, and then count them up! 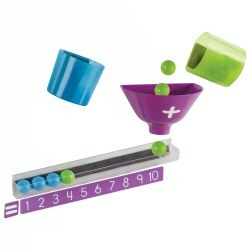 Includes 2 cups, funnel, 20 balls (10 green, 10 purple), number line, equals sign, and tray. Tray measures 11"L.
3 years & up. 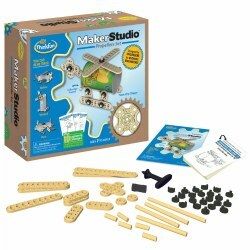 Stimulate children's imagination and allow them to explore reflection, angles, and symmetry. 90 degree mirrors to enhance the creative design and activity cards with levels of progression. 4 years & up. 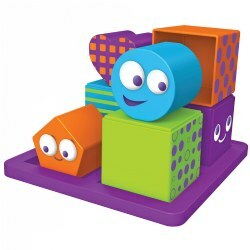 Combine block stacking play with 3-D logic puzzles. 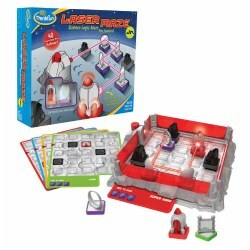 Includes puzzle tray, 8 puzzle pieces, 28 double-sided puzzle cards, and activity guide. Tray measures 6 1/4"L x 6 1/4"H; cubes measure 2"L x 2"H.
4 - 6 years. Develop essential skills in patterning and sorting of objects through engaging game play complemented with matching activities to develop basic sorting, categorizing and graphing concepts. Designed for either adult-directed or independent play. 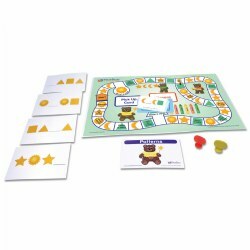 Includes a laminated board game with 30 illustrated, self-checking cards, two sets of 30 flash cards, and an activity guide. Packed in a convenient zippered storage cloth bag with handle. Grades K & up. Get a handle on early math skills! 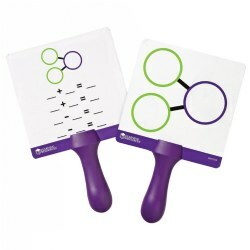 These double-sided, interactive write & wipe boards are designed to demonstrate fact family relationships. One side features a blank number bond and the reverse is for writing fact families. 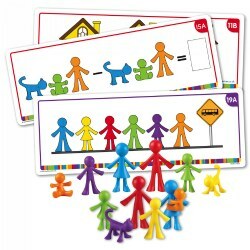 Great for building addition and subtraction skills, number relationships, and part-part-whole relationships. Boards measure 6 1/4"L x 6 1/4"H.
Grades K & up. 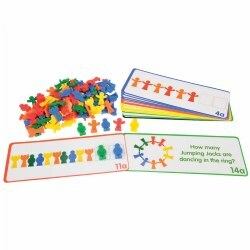 Easily demonstrate number relationships on the whiteboard! Colorful, magnetic circles, squares, and counters are designed to demonstrate fact family and part-part-whole relationships for the entire class. Great way to build addition and subtraction skills. 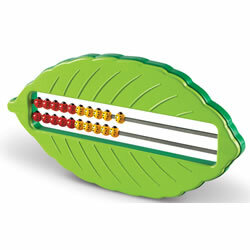 This comprehensive set includes 3 circle and 3 square number bonds (8" and 9 1/2" in diameter, respectively), 4 connecting lines, and 45 magnetic counters measuring 1 1/4" each. 3 years & up. 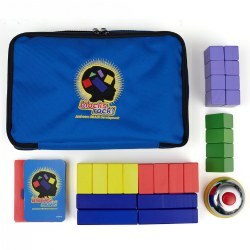 Help children learn counting and sorting, shape and space, pre-algebra, measurement and data with these educational sets. The Connecting Camels include 96 camels in three sizes, three weights (5g, 10g, 15g) and six colors. Connect the camels together to explore cyclic patterns, perimeters and measuring. The Sequencing Cards are a set of twenty laminated cards which include teacher's notes for suggested extension activities (does not include camels). 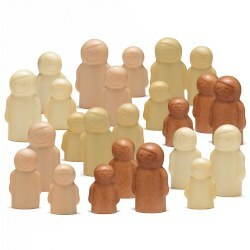 Available separately or as a complete set. 2 years & up. A perfect first manipulative! Five two-sided boards with ten recessed design templates are ready to fill with these brightly colored geometric shapes. 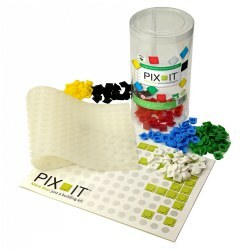 Complete the pictures, or create your own designs and matching activities. Everything stores neatly in the sturdy wooden storage box. Grades 1 - 12. 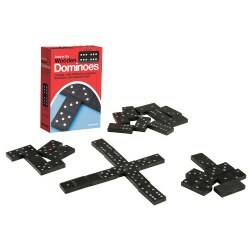 Classic six dot dominoes are made from foam for a quiet alternative in your classroom! 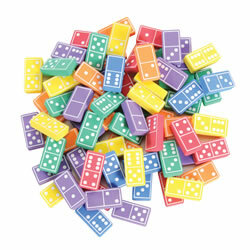 Kids love the tactile feel of these soft, colorful dominoes. 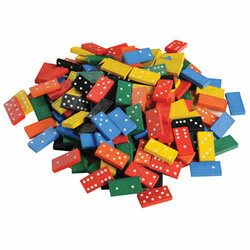 168-piece set of dominoes in six colors are packed in a tub. Dominoes are 1/2 cm thick.